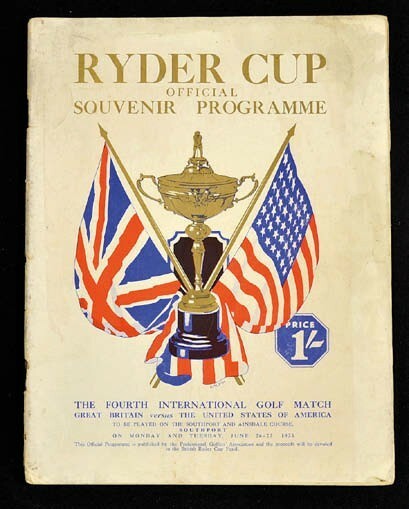 Golf tournament programmes in Mullock’s (19% buyer’s premium) sale of golf and other sporting memorabilia of October 18-19 included the one shown here, issued for the 1933 Ryder Cup, played on the Southport and Ainsdale courses in 1937. It sold for £1400, while another programme produced for the 1937 Ryder Cup match, on the same courses, realised £1100. 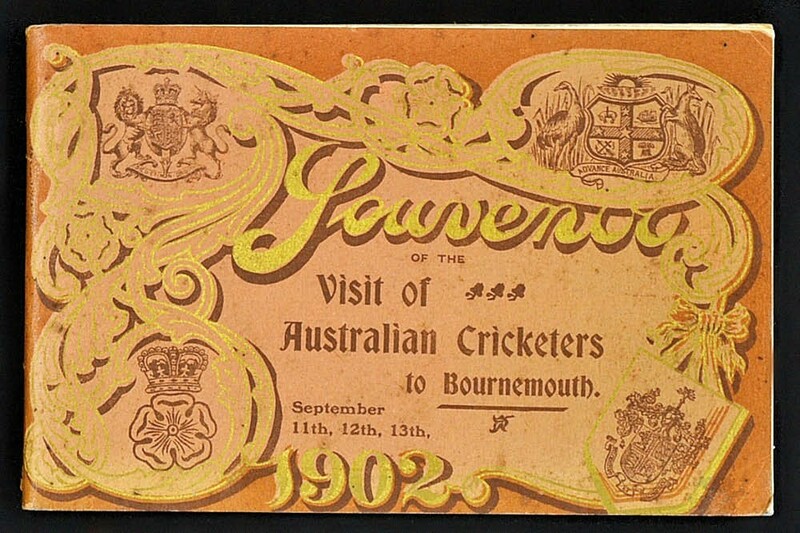 One of the best scores in the cricket section was made by the 1902 Souvenir of the Visit of the Australian Cricketers to Bournemouth also shown, a little booklet in decorative paper covers containing illustrations and information about the players. It sold for £800.